2018 WWE Women's Division - Wrestling Card Checklist	Overall rating:	4	out of 5 based on 1	reviews. 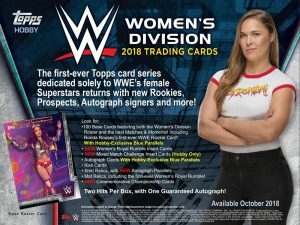 2018 WWE Women’s Division is a Topps branded product that is dedicated entirely to the women of the WWE. Offering a mix of inserts, base, and hits, this release is the first WWE hobby formated product dedicated to the women’s division, which has seen huge growth in recent years as WWE seeks to leave a largely sexualized view of its female stars behind. The product is a testament to how far WWE has come and will surely delight fans. 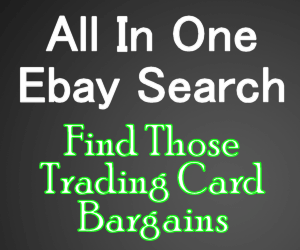 Each box offers 2 hits, with at least 1 being an autographed card.